Located in southwestern Montana in the thick of the Rocky Mountain, sits the quaint city of Bozeman, MT, population 37,000. 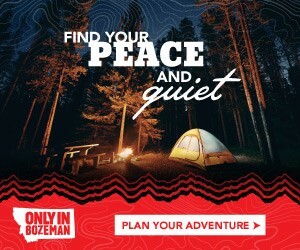 Originally inhabited by the several different indigenous groups, Bozeman was settled by early pioneers that veered off the Oregon Trail, opting to make their home among the majestic mountains that held fertile valleys instead of continuing to the West Coast. Montana’s land offered the perfect place to raise cattle, and grow a variety of crops, including peas, which proved to grow prolifically in the area’s dry continental climate. Today, agriculture is still at the heart of this small metro area, but the local economy also benefits from education (Bozeman is home to Montana State University), technology, and a surge in tourism, thanks to nearby ski resorts. This town in the shadow of the Rockies is a great place to live, work, and play – let us help you discover the best of Bozeman. Whether you’re moving to the area, buying a vacation home here, or trying to get a feel for Bozeman’s neighborhoods, Discover Bozeman has the resources you need for a smooth transition to this beautiful Montana metro area. Have questions? Let us know how we can help!